Kristian Miller and the MSU Cycling Team once again kept the bar high on the first day of the MSU Cyclocross Weekend. The course remained similar to previous editions of the race, but offered more tight and technical corners. The infamous, off-camber "Hipster Christmas" section was ever present and promising to send a lazy racer into the pond, and hot, windy weather gave a notable advantage to racers who could talk their way into a water hand-up. With home town favorites Anna Dingman (Gallatin Alpine Sports-Intrinsik Architecture) and Lisa Curry (Gallatin Alpine Sports-Intrinsik Architecture) opting not to toe the line this afternoon, the initial selection was made up of Amy Frykman (Gallatin Alpine Sports-Intrinsik Architecture), Julie Zickovich (Muleterro), and Lindsy Campbell (Big Sky Bikes-Montanacyclocross.com). Frykman looked strong early on, but Campbell and Zickovich were able to reel her in and punish her early act of aggression with a well executed counter attack. The two women traded body shots for laps until Campbell's superior acceleration out of the corners and prowess in the multiple sand pits proved too much for the motivated Muleterro rider. Campbell separated herself from the field with two laps to go and crossed the line alone. A small but stacked field was made of of the who's who of fast Montana cross racers. John Curry (Gallatin Alpine Sports-Intrinsik Architecture), Brad Morgan (Gallatin Alpine Sports-Intrinsik Architecture), and a full complement of Montana Velo riders were in attendance and vying for a podium spot. After the first two laps Curry, Morgan, Geoff Proctor (Montana Velo), Landon Beckner (Montana Velo), Scotty Herzig (Montana Velo), and Frank Gonzales (Montana Velo) had shown why they're at the top of the sport and made a formidable group. The pace eventually proved to be too much for Proctor, Beckner, and Morgan, and the other three stayed together until the final laps. A technical faux pas left Herzig grasping to the podium as Curry used his superior power to distance himself from Gonzales. 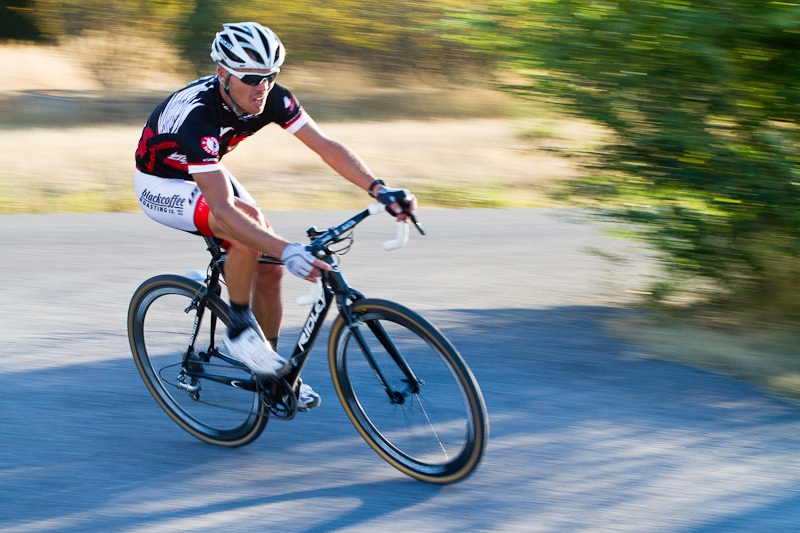 Kiefer Hahn rode solo for almost the whole race, to win his first Wednesday Night Cross Race. Sam Schultz patrolled affairs from behind to finish second on his single speed. Rounding out the podium was Bob Presta who's form is improving week to week. Toby Meierbachtol flatted out, but was the only rider to match Kiefer's initial move. Hahn moves into the ever important series lead with 4 races to go. His teammate Presta slots into second. Lisa Curry was in town for the evening and decided to race. The course suited her abilities and she flourished at the fort. Ingrid Lovitt continues her consistent riding to finish 2nd. In third was Sarah Halvorson who is going to just keep getting faster each week. Rob Sayler has a nice hold on the masters A series. He won his second race in row. What a great Master A field; Travis Howard, Troy Kindred, John Fiore, and Jeff Brooks. Mo Mislivets also collected her second win of the series in the women's B category. 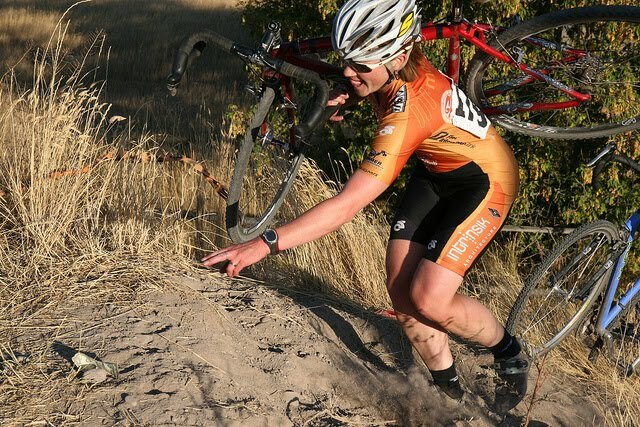 Also, of note was first time cross racer Kellie Carim getting 2nd place on the evening. Scott Herzig, Anna Dingman, Aubrey Curtis, John Fiore, and Blair Fischer will have their hands full as they try to defend their series leads. With the exception of Curtis all current leaders have just one win. Currys, Brooks, Howard, and Randy Beckner are all riding strong and will challenge our current leaders. It took some sand and techy riding from John Curry to dis-lodge Scott Herzig. The two battled until 3 laps to go, where John made is move out of the grass barriers. Third place was Landen "The Future" Beckner. He beat his teammate Frank Gonzalez to make an MT Velo 2nd, 3rd, 4th. Clearly with Beckner on board the boys in orange and white are the team to beat. After 4th it was a pure suffer fest. In Montana, when the races are full gas who do you expect to race well? Duh, Bob Presta and Alex Lussier. The two hard-men rode through riders who were in various states of hallucination, to finish 5th and 6th. In the largest field of the day Aubrey Curtis held off the GAS challenge from Hoffman and Crutcher to increase is lead in the Montana Standings. Wendy Brooke took a nice win in the ladie's 4 race and Randy Beckner beat out series leader Blair Fischer in the master's B. The masters A had good racing throughout. Travis Howard, Mike Longmire, Jeff Brooks, and John Fiore formed the front group. The heady Fiore noticed that Curry had come by and that meant they would finish on that lap. He attacked and stole the show. Scott Herzig takes the series lead from Toby Meierbachtol, but now has to worry about John Curry creeping up on his home turf. Aubrey Curtis seems very secure at the top spot. We'll see what the GAS crew can throw at him next weekend. On the ladies side Dingman, Curry, and Campbell will continue their battle which seems to be coming down to equipment and course. Bozeman has great courses, and Kristian Miller/MSU will put on a good show.